Spring Exterminator – What insects are on the rise? An exterminator in Portland knows that every new season brings new pests with it. Insects and small animals follow schedules just like humans do, some much more so as specific seasons see them going to ground to wait out the colder season and re-emerging in the…spring. Termites – Termites go to nest during the winter months but remain active throughout. That means if you find them inside, they’ve actually been hard at work turning your home into their home all winter. 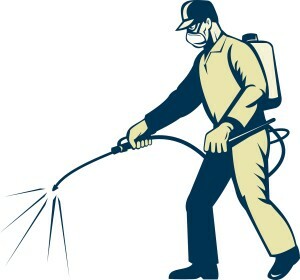 An exterminator in Portland will be able to identify your termite type and carry out effective termite removal. These little insects cause a lot of damage, so don’t wait to call for an exterminator at the first sign. Ants – Ants hibernate for the winter, huddling in close together in their nests in order to share body heat. As soon as spring arrives they become active once again. This is when they begin hunting for food, so make sure you keep a clean house during the beginning of spring, and call an exterminator if you see any ants inside. It could mean they wintered in your walls. Flies – Cluster flies emerge when spring begins to warm up the wall voids and attic spaces that they winter in. The best way to prevent cluster flies is by making sure your house is secure. Cover up any crawl spaces in the attic as well as vents, also make sure your weatherstripping and screens are in good shape. 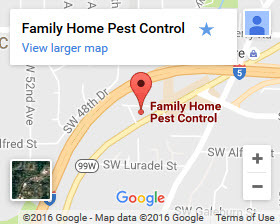 An exterminator in Portland can rid you of cluster fly problems. Bees, Wasps, Yellow jackets – As soon as flowers start blooming, flying insects come out. Bees cluster in winter much like ants do, and once that thaw is over it’s all about finding food. An exterminator has a variety of methods for dealing with flying insects, so if you are allergic or just find them to be a nuisance, don’t wait to contact an exterminator in Portland. Now that you know the habits of common spring pests, keep your eyes peeled and call (503) 452-9965 or contact Family Home Pest Control for an exterminator in Portland. © 2019 Family Home Pest Control. All Rights Reserved.